Brandon C. Juarez manages the College of Education Full-Time Online Faculty team at Grand Canyon University. 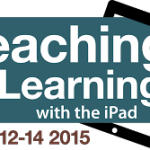 He will be presenting the session “Removing the Shackles to the ‘Sage on Stage' Approach to Teaching” at the 2014 Teaching and Learning with the iPad Conference this November in Raleigh, NC. Active learning and engagement starts with proactive teaching. 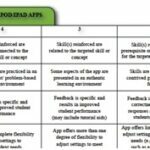 Formative assessment strategies, including Classroom Assessment Techniques (CATs), provide tremendous value to students and teachers alike. Angelo and Cross provide a wonderful framework to the many successful approaches to creating effective formative assessment strategies (Angelo & Cross, 1993). The biggest limitation with most strategies is that they often take time to collect the requested student data. TodaysMeet solves that problem by creating a web-based running feed that educators can use in real time. When teachers monitor learning throughout the lesson, student engagement and learning dramatically improve. A key advantage to using TodaysMeet is the ability to autonomously track student progress and learning. This provides holistic assessment that the teacher can use to monitor class progression without students being singled out and the threat of being embarrassed. Regardless of the grade or age range, students are eager to demonstrate their level of mastery and seek necessary support with fidelity when their fears of being in an uncomfortable environment are quelled. When pupils feel they can respond with honest and real feedback, it is more likely the results will be authentic and viable. TodaysMeet also supports the increase in Bring Your Own Device (BYOD) pedagogy. In a 2013 study, The Pew Research Center documented, “three in four (74%) teens ages 12-17 say they access the internet on cell phones, tablets, and other mobile devices at least occasionally” (Madden, M., Lenhart, A., et.al., 2013). Teachers benefit exponentially in terms of their ability to formatively assess learning when technology is considered and used accordingly. Moreover, by providing authentic use of edtech tools, students understand the potential their personal device(s) have on their continued development. Another great use of using TodaysMeet is to show students their responses via the live feed during instruction. For example, when a teacher poses a formative assessment question, students will respond (individually or in a group setting). Their results/responses appear for others in the class to view and note. This peer-to-peer learning fosters and encourages a classroom environment that supports self-reflection and personal assessment. As discussed by Rony Zarom in his article, How to Drive Engagement with Mobile Devices, “keeping students connected through interactive mobile tools fosters student-centered learning and discipline-centered skills [including] … peer-to-peer feedback, and more – both of which are crucial to increasing student engagement …” (Zamon, 2014). A potential hurdle to using this teaching strategy occurs when a student posts a message on the feed that is unrelated to the topic of discussion. Thus, it is an important classroom management technique for the teacher to monitor and peruse student responses before showing class responses. In my classes, I have found TodaysMeet to be the fasted way to collect and evaluate student perceptions, data and learning outcomes. Putting the power of learning in the hands of students has created an atmosphere that fosters engagement. I have found when students witness my eagerness to see their performance of the curriculum, they are equally enthusiastic to provide support that I can use to enrich and facilitate their learning. It is important to note, this process did not come easy. Like most supplemental support systems, processes and pedagogical procedures student buy-in is crucial. As previously discussed, classroom management is a cornerstone to healthy participation and formative assessment. I found however, students care and defend this practice when they observe the impact it has on their learning and my ability to package the learning objectives in a way that is best understood and applicable. Come and learn more from Brandon and dozens of other practitioners at the original iPad focused education conference – Teaching and Learning with the iPad, November 20 – 22, in Raleigh, NC. Hope to see you there! Angelo, T., & Cross, K. (1993). Classroom assessment techniques: A handbook for college teachers (Revised/Expanded ed.). San Francisco: Jossey-Bass. News. Retrieved August 14, 2014. Brandon Juarez manages the College of Education Full-Time Online Faculty team at Grand Canyon University, where he previously held various Faculty positions. Brandon also enjoys supporting GCU’s academic mission through his involvement as a Subject Matter Expert (SME) on special projects and site supervising Ed. Admin interns and secondary education student teachers. Today’s Meet is great – but how about tech for teachers in low-resource contexts? This includes schools with ‘not good enough’ wi-fi – a lot of schools! Do you have any other ideas for products that are similar but available to students under 13?